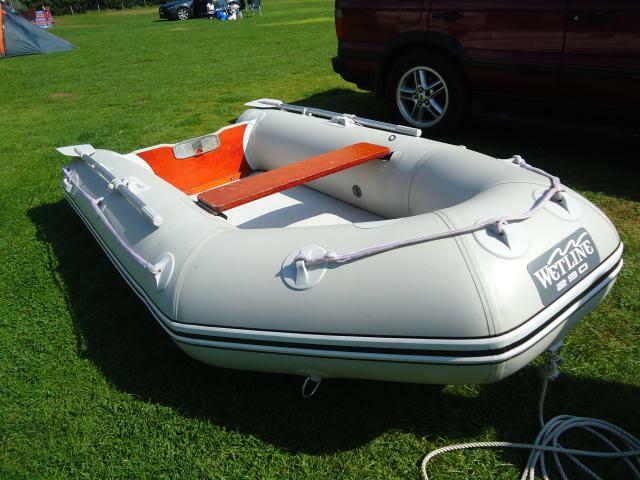 I'm selling one of our sibs, its a Wetline 290 Airdeck. 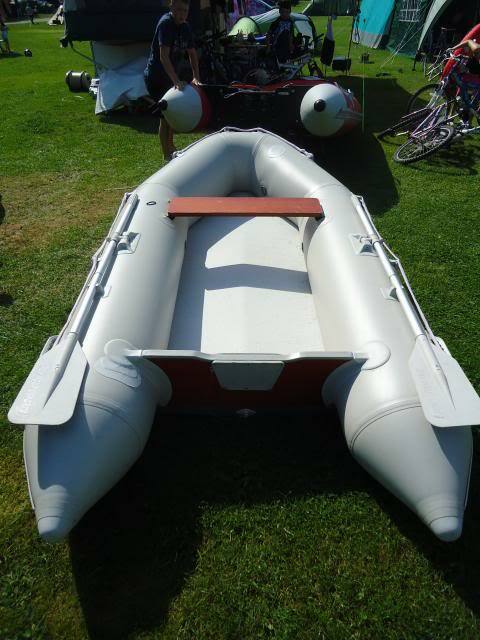 Its a great boat, big enough to get 4 adults aboard with space to spare. 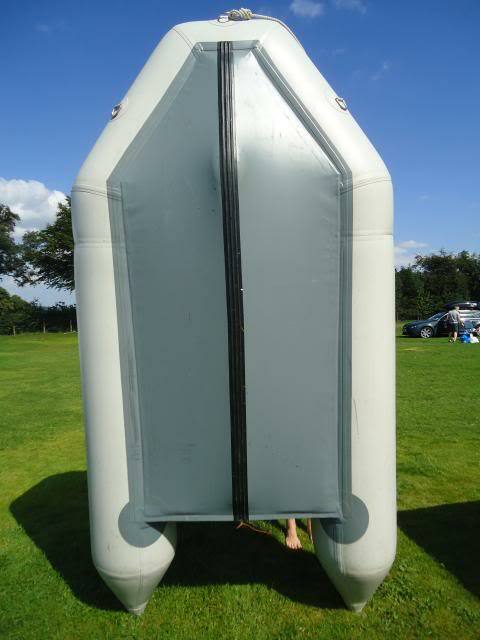 Decent sized tubes keeps wet bums down to a minimum and the airdeck makes it light to handle and easy to fold up. Will fit easily in a hatchback. 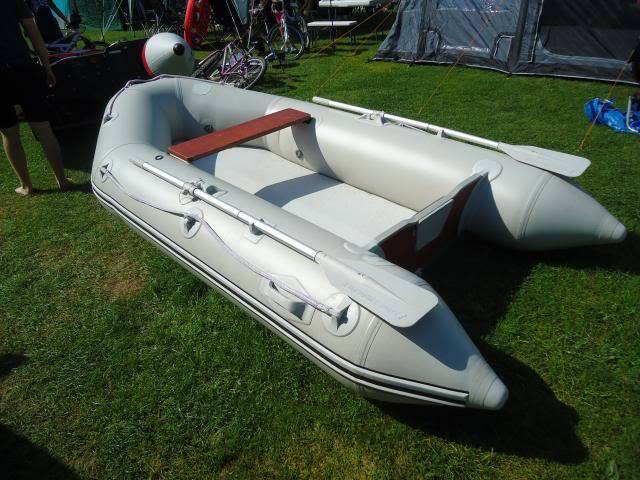 Performance is good, its got the high pressure airdeck and inflatable keel (the best sib set up) so it tracks nice and straight. It will plane with a 5hp and goes really well (over 16kts) with an 8hp. Condition. 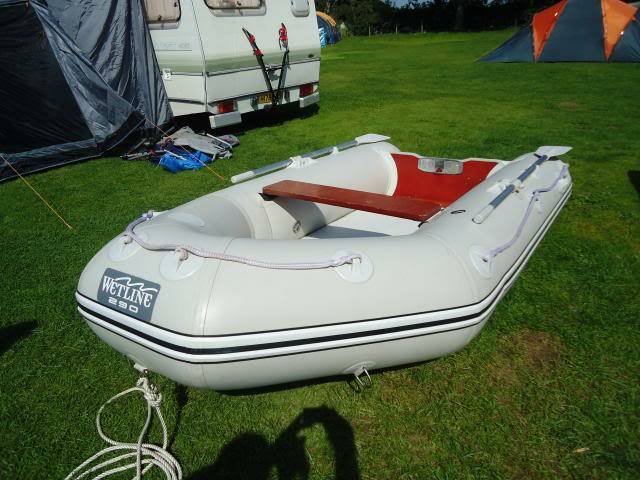 Boat has not had a lot of use, mainly in fresh water, either as a tender or when we go away in the caravan or camper. It holds air well I dont think it has any repairs. There are a couple of scuffs but nothing very bad. Pictures were taken last time we used it and show its condition now. 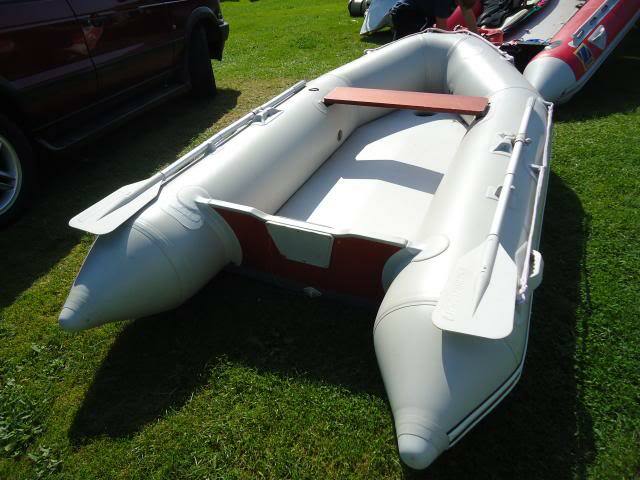 Boat comes with seat and oars. It also has a bag but its seen better days, does the job but the zip is dodgy. 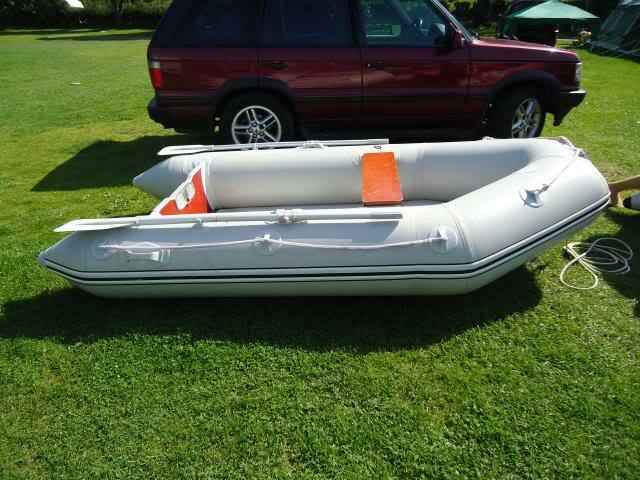 Boat is pick up only from St Helens, WA10 and viewing is welcome and recommended. What sort of weight would that be? Around 26kg plus the seat and oars. Less than 30kg all in. Did you ever sell this? I keep fancying a SIB I can carry in my van! Sorry, yes the boat sold the same day I put it on the board.